Contact lenses give you the freedom of a wide field of view as there are no limitations from the spectacle rims. Whether you want contact lenses for just sports and social use, or for full time wear as a replacement for spectacles, at Douglas and Cobane we can suggest an appropriate lens type for you. 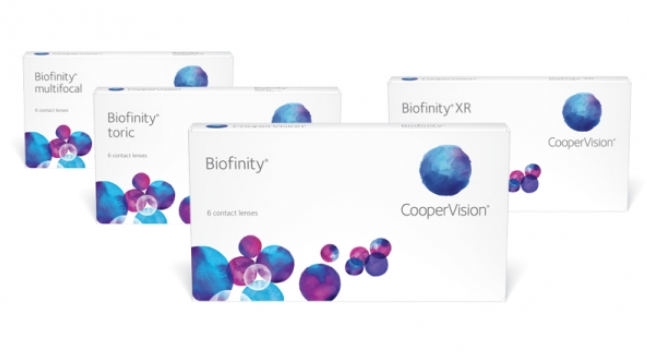 Advances in technology mean that modern lenses are more comfortable and affordable than ever before with a vast range of prescriptions available. We are able to advise our customers on which lens types are most suited to their lifestyle requirements. As we are not tied to one particular company we can offer professional and impartial advice on all lenses. We will assess your suitability for lenses at your first appointment and explain the options open to you together with the costs involved. You will be surprised how comfortable they can be. Before committing yourself we will, where possible, allow you to take some lenses home to try. We will advise on the best lens options to meet your needs and explain these thoroughly to you. These include: soft lenses, rigid gas permeable lenses, hybrid lenses and coloured lenses to change your appearance. Many lens options are available on a frequent replacement scheme. These are generally the most popular lens option as they are so comfortable to wear and easy to adapt to. Modern soft contact lenses are available for people with astigmatism (an oval shaped eyeball) as well as for bifocal/varifocal wearers. They can be obtained in daily disposable, two weekly or monthly replacement forms. These lenses are recommended for eyes which need extra oxygen, if you have a lot of astigmatism or a very high prescription. They can take a little longer to adapt to, but they generally last longer than soft lenses and are usually replaced on an annual basis. Bifocal and multi-focal varieties are also available. These are soft lenses which allow as much oxygen to the eye as the best rigid gas permeable (RGP) lenses. As well as being used by people who have had problems with contacts in the past, for example as a result of dry eyes, they are also suitable for extended wear. They are available in daily disposable, two weekly or monthly replacement forms. This relatively new concept in contact lenses offers the advantages of both a gas permeable and soft lens. These lenses have a rigid gas permeable centre offering excellent vision, even for patients with significant degrees of astigmatism. The soft skirt of the lens gives outstanding comfort to match that of a soft lens. To ensure both your lenses and eyes stay in good condition, you will need to clean and disinfect your contact lenses before insertion. The type of lens you have and how you wear them dictates the type of care system you use. We will ensure you understand what to do before you take your lenses home. Please refer to our guide on handling and caring for soft contact lenses for more information. Worried about getting lenses in and out of your eyes? Don’t be. Our experienced staff will spend as much time as you need to ensure you are competent and safe in handling your lenses. 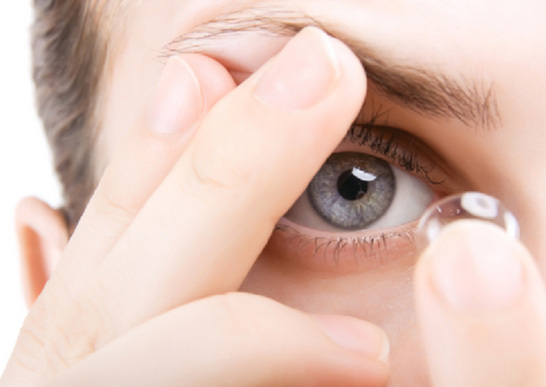 Please refer to our guide on inserting and removing contact lenses for more information. 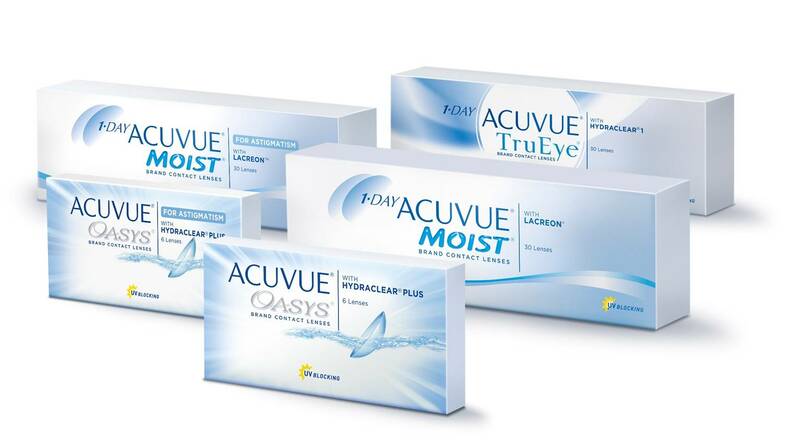 For further information on contact lenses or to request an appointment contact us.